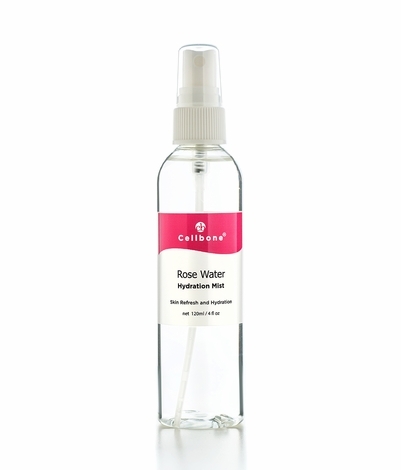 Pure Rose Water Hydration Mist A gentle and calming hydration mist, containing pure rose water (99.9%), that replenishes water and moisture to the skin. 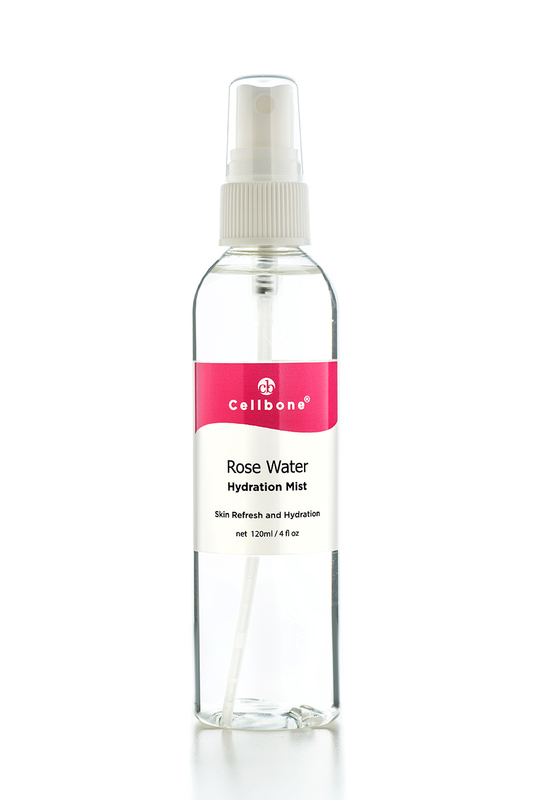 Mist is suitable for even the most sensitive skin. Hydrolyzed Sodium Hyaluronate makes it easily penetrative and is able to hold more water than any other natural substance up to 1,000 times it weight. Also, replenishes your skin after the amount of Hyaluronic Acid in your body naturally decreases, due to aging, helping skin to avoid roughness, flaking, fine lines, and other signs of visible aging. Rosa Damascena (Rose) Distillate is linked to properties that can contribute to an antidepressant, antimicrobial, and relaxation effects. The aroma can also be helpful during times of stress. Spritz face and neck area after cleansing. Apply as needed throughout the day. May be applied on top of makeup. For best results, follow with your favorite Cellbone moisturizer.